Andrea (Andi) Rose, age 75, passed away peacefully March 13, 2019, from her battle with Triple-Negative Breast Cancer. Andi was born in Queens, NY on August 20, 1943, to Florence and M. Elliot Cooperstein and grew up in Rockville Center, NY. Andi had a kind, loving, playful spirit that shined the brightest playing with her grandkids: 12-year-old Jaden, and his 10-year-old brother Asher. Andi showered the boys with love and was a special Grandma to the kids, the boys love their Grandma! For many years, Andi enjoyed success as a clothing buyer, after completing her education at Adelphi University and then graduating from the Fashion Insititute of Technology (F.I.T). But spending time with her family was Andi’s real calling. She lived her life with the motto - “Family is not an important thing, it’s everything”. Andi is survived by her daughter Stephanie Rose, her son Jonathan Rose and his wife Carrie; their two sons Jaden and Asher; her beloved sister Judy Heldman along with her two loving nieces Stacey Heldman and Randi Tomasulo. Andi is also survived by her dear friends and family Judy Lee, Jill, Janet, Terry, Gail, her former husband Michael Rose, and her many nieces and nephews who she loved dearly. 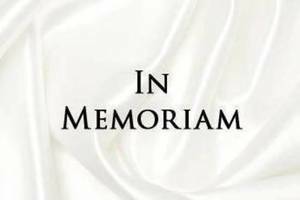 There will be a private family graveside service on March 15, 2019, at 11:30 am. Followed by family and close friends sitting Shiva on March 16th and 17th, from 1:00 pm to 5:00 pm at Judy Heldman’s 23 Downing Place in Harrington Park, NJ. In lieu of flowers, donations may be made to the Triple Negative Breast Cancer Foundation at https://tnbcfoundation.org/. This is a cause that is near and dear to Andrea’s heart.